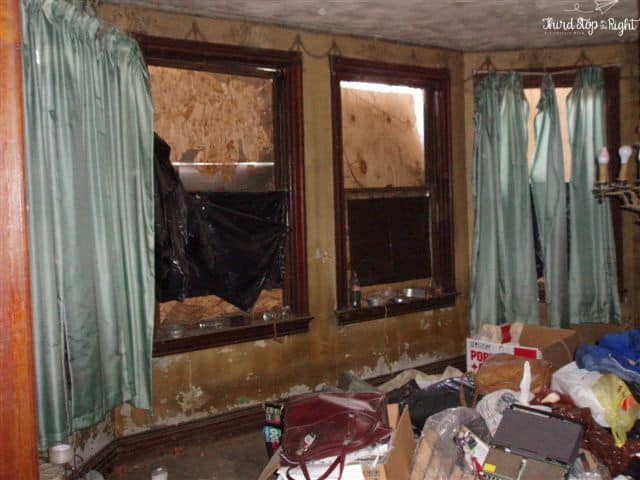 Note: This is currently a privately owned home and the new owner is working to fix it up. 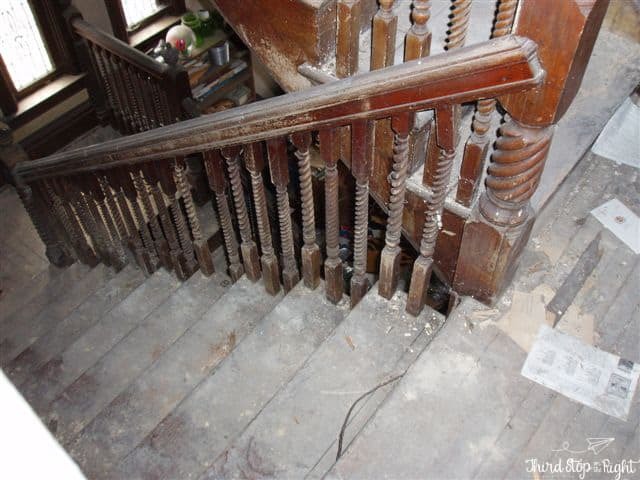 She has spent $1,000s on working to restore the first floor. 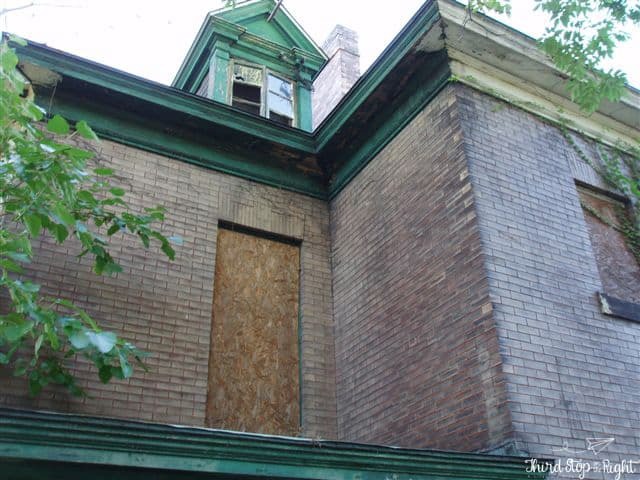 It wasn’t the current owners who let the home get into disrepair, but the owners of the past — the new owners are working to preserve the home’s future. 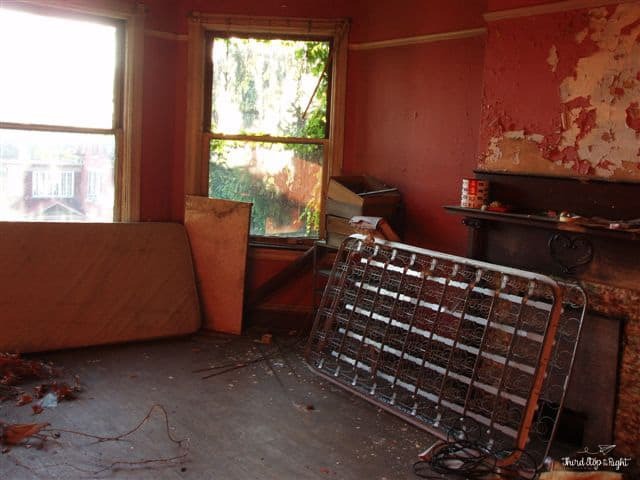 I love this house and hope the new owners do a fabulous job. 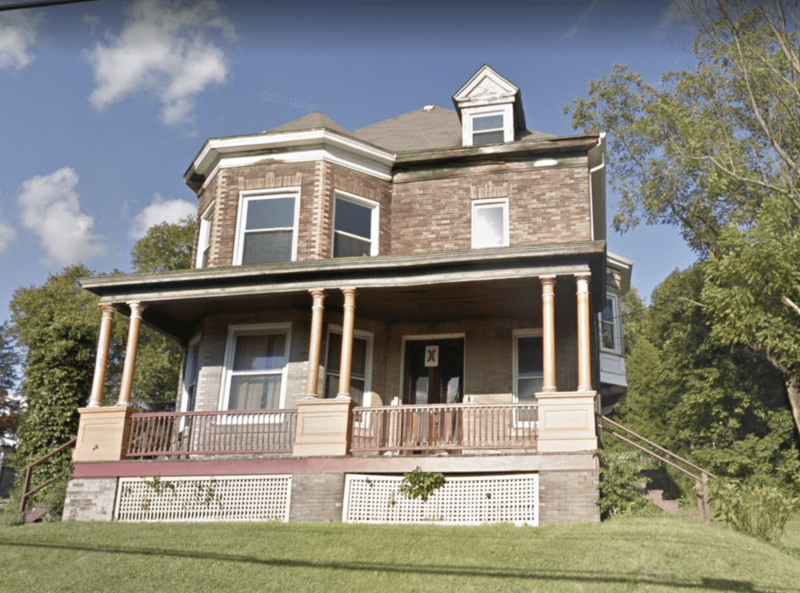 Additionally, the red X on the front of the house doesn’t mean that it is slated for demolition, but it is meant to warn first responders that there is something structurally wrong with the house (missing stairwells or weak roofs). 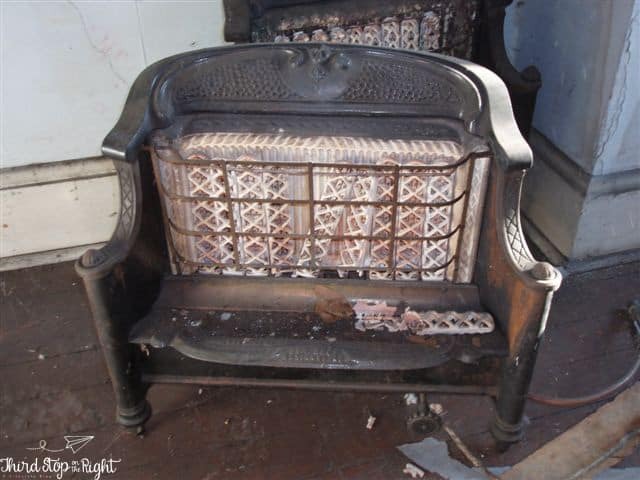 These “Xs” can appear on any home at any time if the fire department feels they might be unsafe. 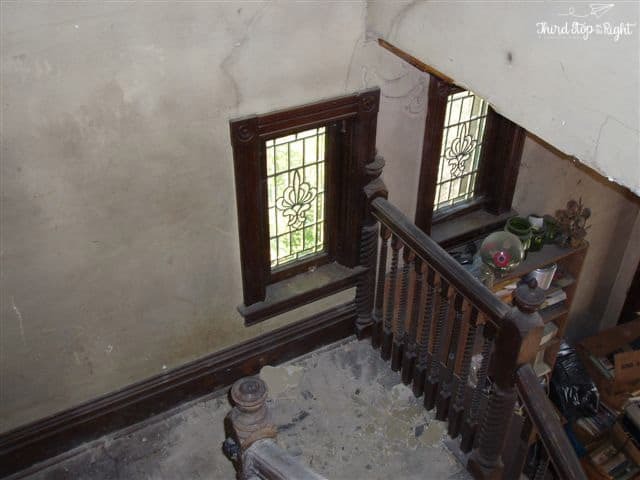 I always hate to see beautiful architecture slip into disrepair. I seem to have an “eye” for things that are old or my be unique. One place that I have alway loved is Academy Hill in Greensburg, PA. 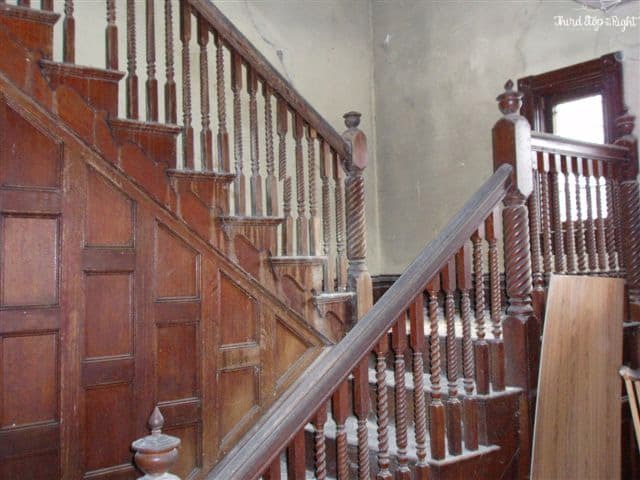 The old, stately houses (for the most part) are always meticulously maintained and make you think of the simpler times. 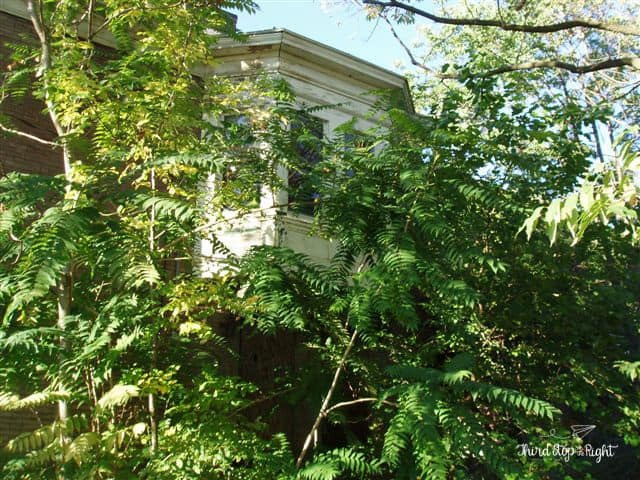 One Academy Hill house that has always fascinated me was at the corner of North Main Street and Delmont Street. 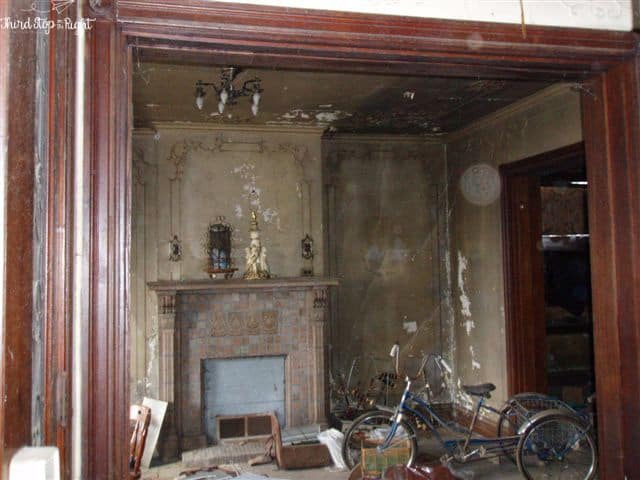 In it’s earlier years I am sure it was a beautiful mansion residence, but over the years, and through poor ownership, it has fallen into disrepair. 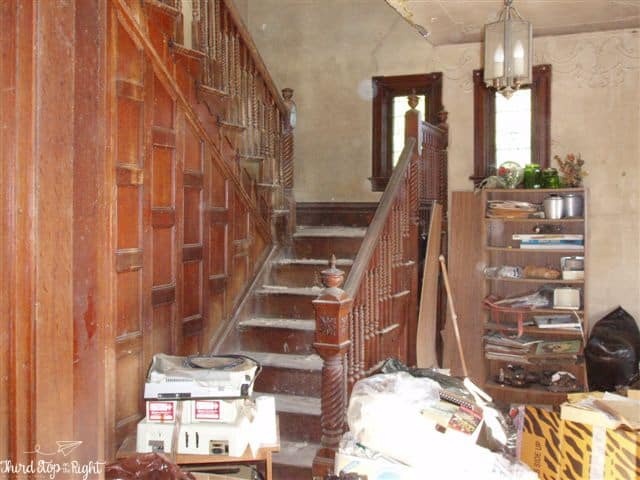 Approximately 12 years ago the house came up for sale through foreclosure, I believe. 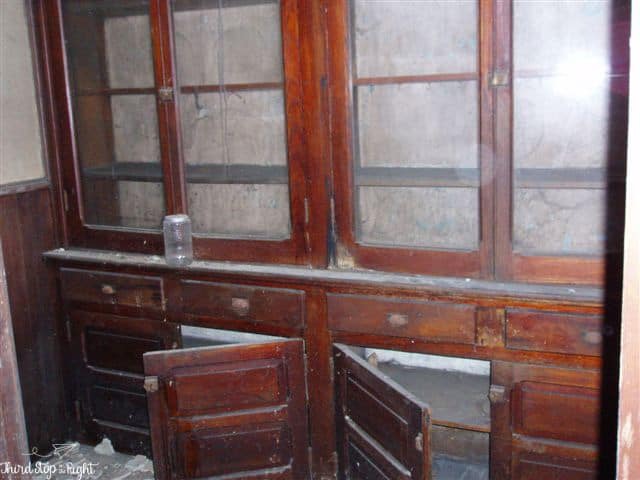 It was listed at a mere $17,000 and being the history-lover I am, I contacted the real estate company for additional pictures in order to judge just how bad of shape the house was in. Trust me, it was bad. 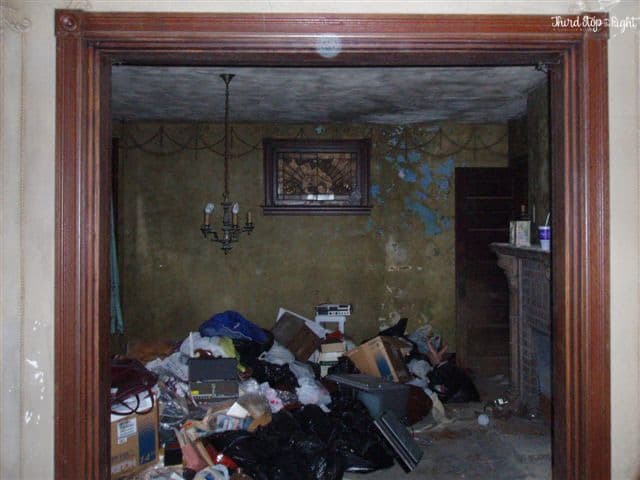 The house seemed to be perviously inhabited by hoarders as there were piles of trash absolutely everywhere. 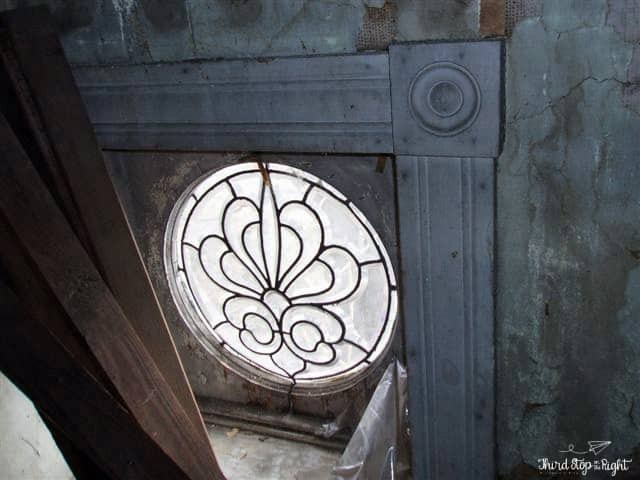 Despite the poor inside conditions, there were a lot of architectural elements that harkened back to the home’s glory days. 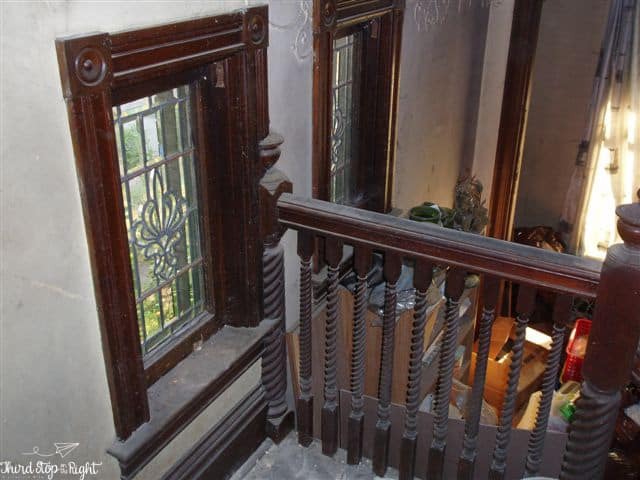 Since this home has become sort of an icon in the Academy Hill area, I thought that many people might be interested in an inside look of what this grand house looks like now. 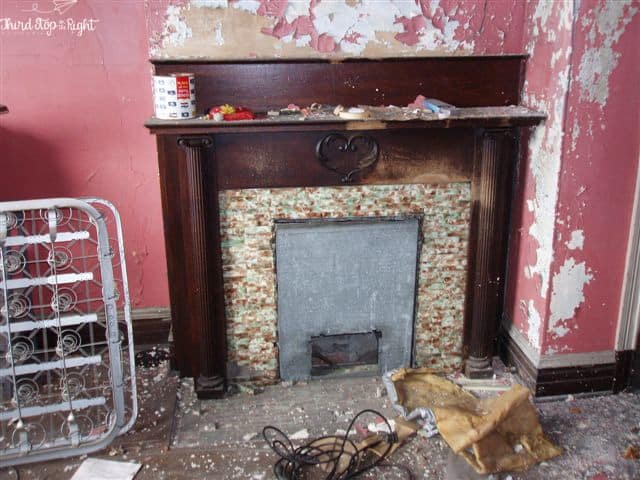 These pictures were sent to me by the real estate company approximately 12 years ago and I know that there have been new owners since then (maybe several owners) who have attempted to flip the house. 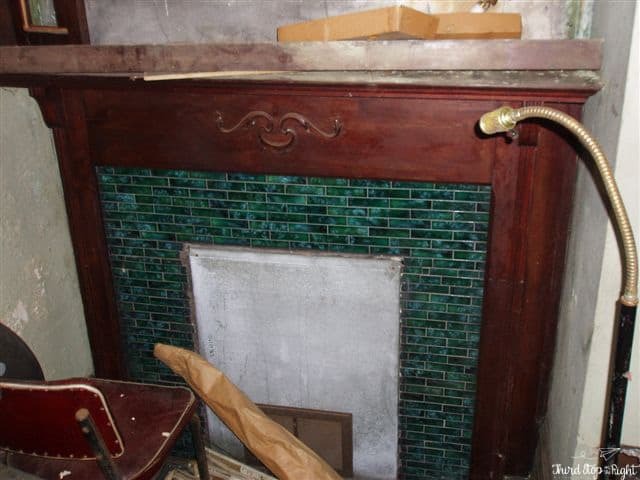 Unfortunately, from real estate listings from several years ago (I can’t find the old listings) I do know that many of the architectural elements of the house such as the fireplace surrounds, leaded glass, and woodwork have been removed. 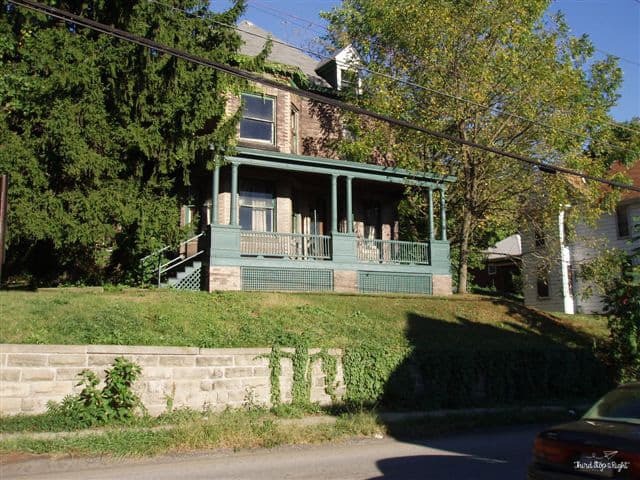 Pretty much everyone in Greensburg who has ever traveled up North Main Street knows the exterior of this house. 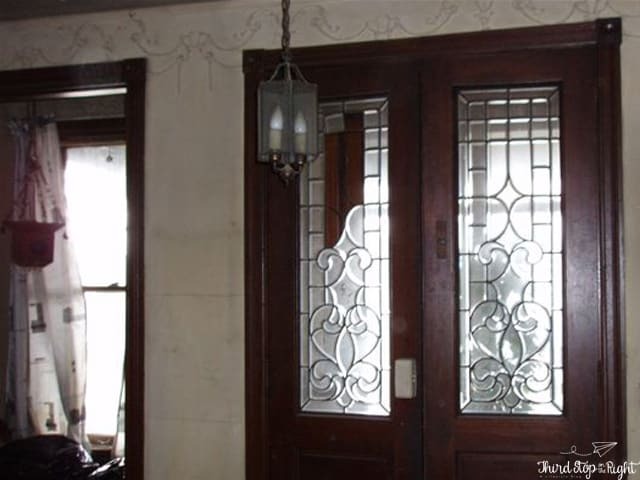 I love the woodwork in the main entry hall, including the panels along the steps, the wooden banister and spindles, as well as the leaded glass in the front doors and the window by the main entrance. 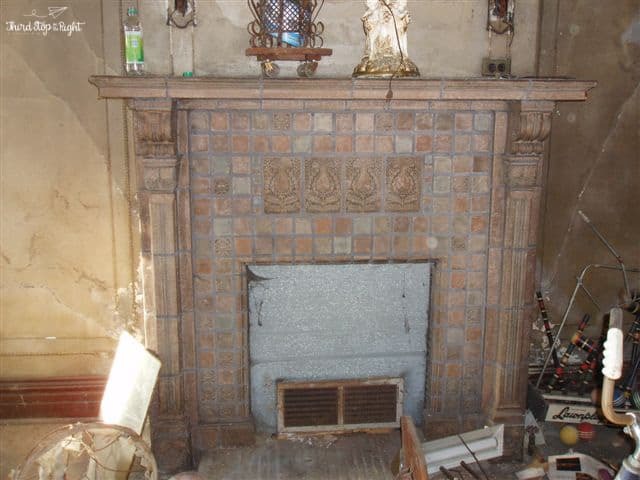 What originally stood out to me was the beautiful fireplace surrounds. They must have really looked like something back in their day. 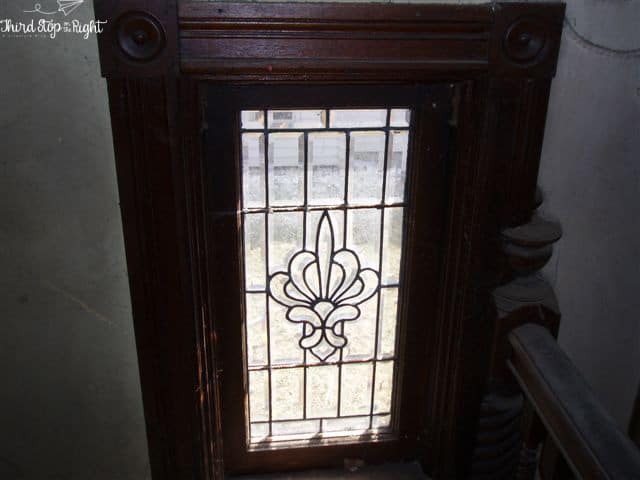 I absolutely loved leaded glass, so I was all about these windows. 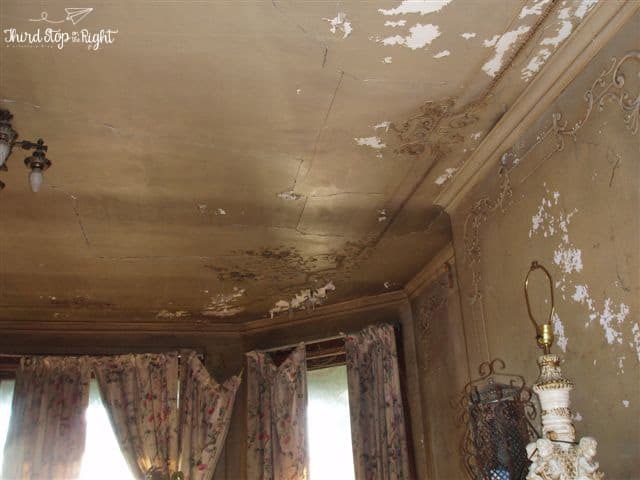 I haven’t seen much custom plaster work in a house in a long time, but check out the detail on the walls and ceilings in this house. 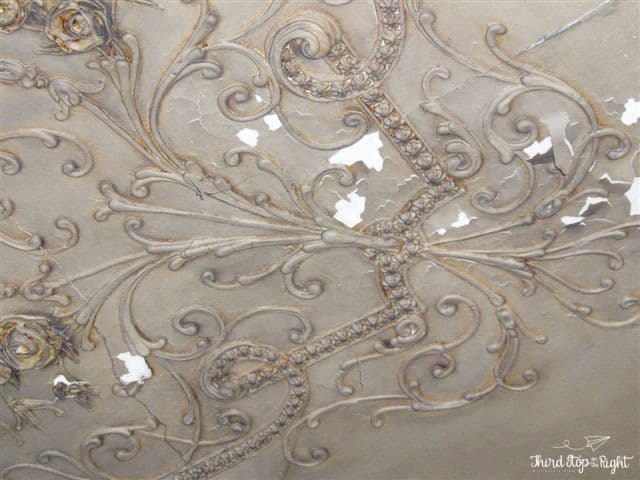 This would cost a fortune to replicate today. 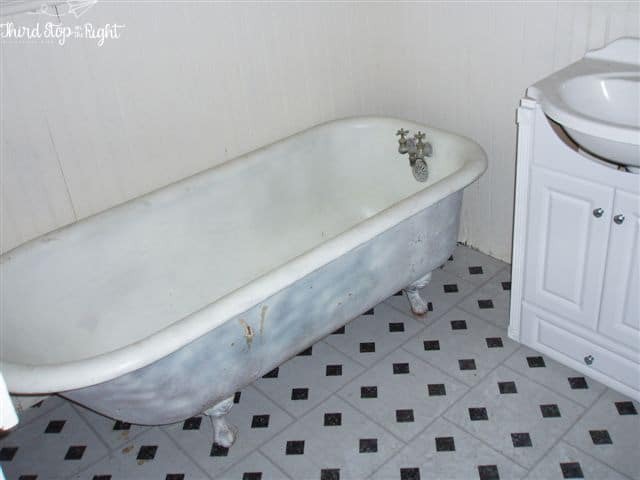 There are many other unique aspects to this house such as the claw-foot bathtub, built in cabinets, and even unique radiators. 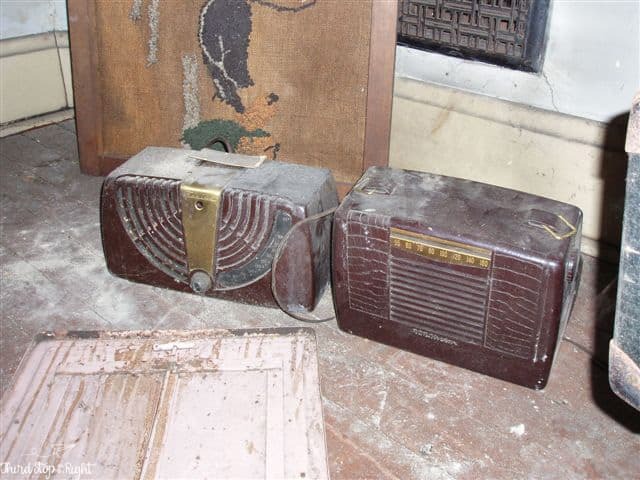 Even some of the stuff that was left behind was kind of interesting such as these radios. 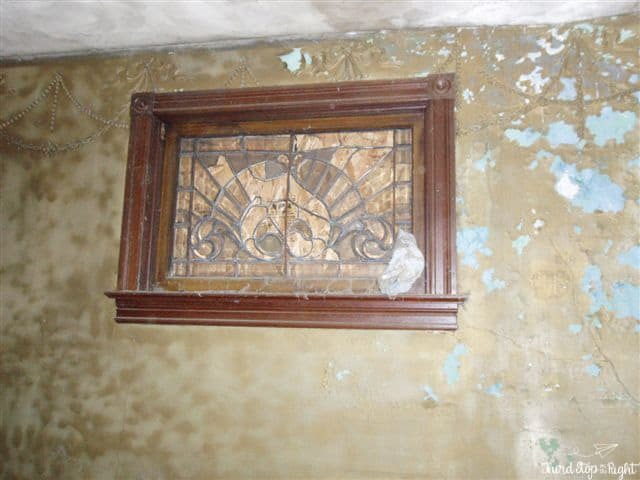 Unfortunately, from these pictures you can tell the place is in bad shape and it would really take someone who knows what they are doing to restore it. 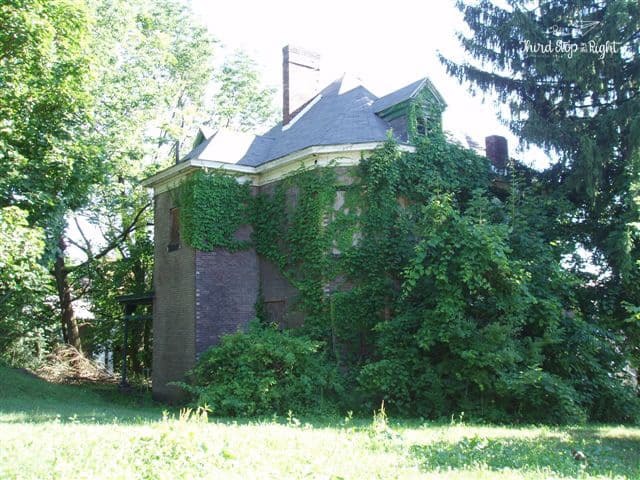 I hope that eventually someone can buy this house and restore it to a semblance of it’s former glory. 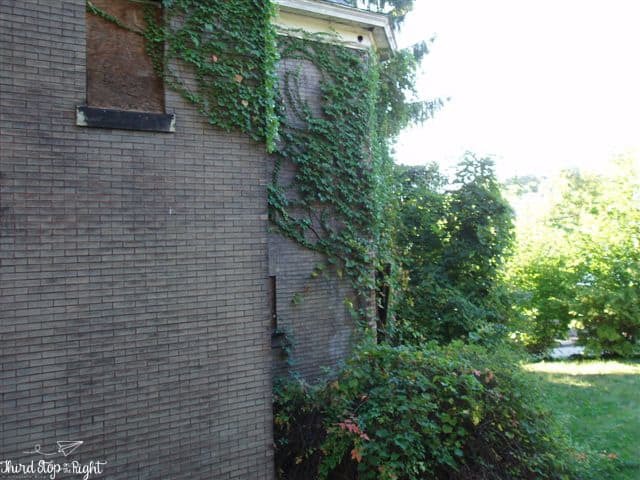 It definitely has potential and it will add to the grandeur of Academy Hill. 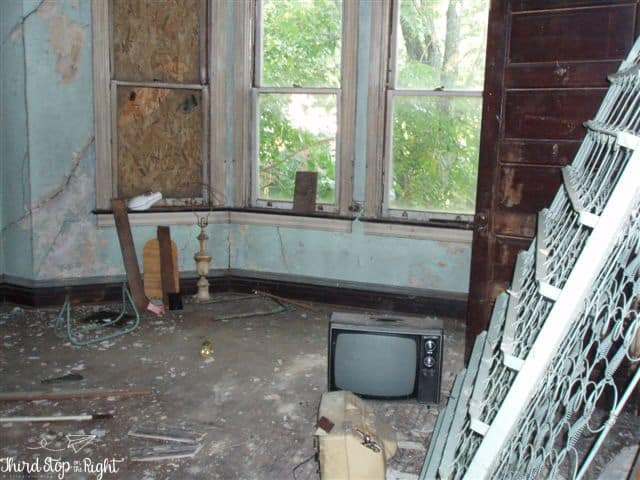 There’s a gal on HGTV who restores old homes. Her name is Nicole and she works right along with her crew using tools, backhoes etc. 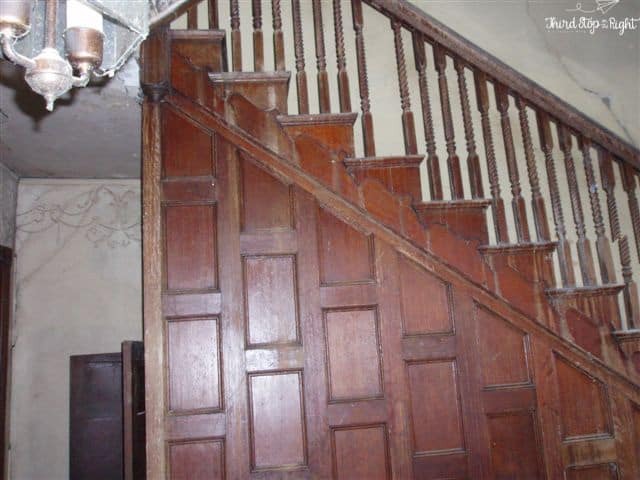 she does a wonderful reconstruction. 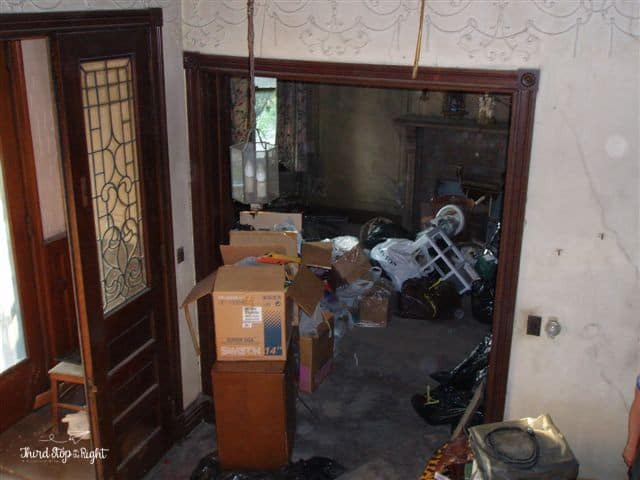 I think the name of the show is Rehab Addict. She hasn’t been on for a while since she had a new baby.